Sarah Hassan and Martin Dale got married on February 25th 2017. The two lovebirds dated for a while before they finally decided to exchange vows. 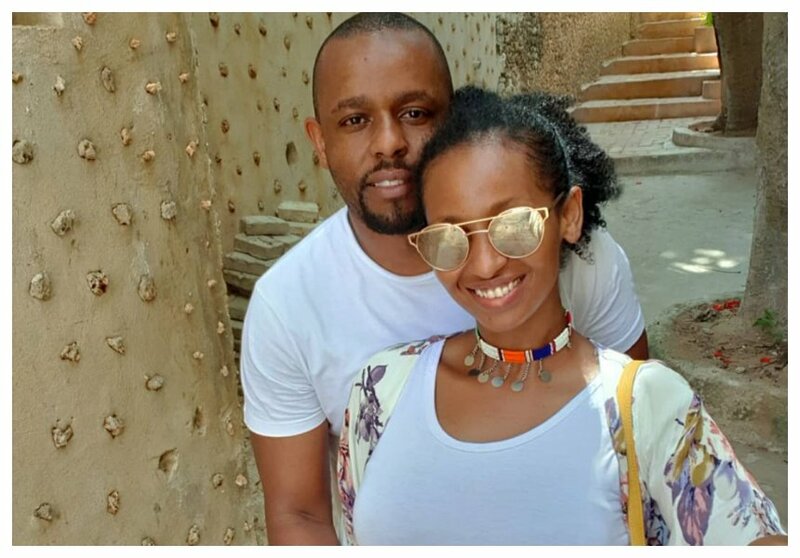 The former Tahidi High actress opened up about dating her husband during a recent interview with Kalekye Mumo on K24’s Talk Central. Sarah revealed that she met Martin for the first time at a gym situated at the ABC place in Westlands. They two kept seeing each other and eventually started dating. The heavily pregnant actress also narrated how Martin proposed to her. She said that she didn’t see the proposal coming as Martin took her out to a restaurant located in the same apartment block they lived together only for him to pop the big question. “So one day we were to go to an event and the apartment we used to live in had a restaurant. He suggested that we have a bottle of wine, so we go in and am wondering, there was a nice set up at the table we were going to use, is there something? Are there people who are supposed to be here? “I thought it was for some other people who had booked, it was full of roses, candlelight, so I thought it was for other couples or we did not call to book. Then he pretends to ask the waiter if we can use the table, then we are there just having a glass of wine and there was like a pack in the middle, and I was ignorant coz it was written in Spanish. “So he is always this surprise, romantic guy, then he goes down on his knees to propose, I didn’t see it coming. Later on at the event, all our friends were there,” Sarah Hassan narrated.